Almost every school organizes various co-curricular activities for students. These activities help the children to open up and be participative. Co-curricular activities like dance competition, singing competition, fancy dress etc help the children to know their hidden talents as well as increase their self confidence. Click here to view some Fancy Dress Speeches already prepared for you! Many schools start such competitions during the preschool only such that the child gets the maximum exposure and benefit. Children these days are undoubtedly more advanced and efficient in every way. Out of all the activities fancy dress competitions give the children a chance to portray their favourite characters or something that has impressed them that they want to share it with everyone. 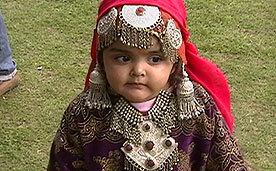 Parents however find it a little difficult to come up with different themes and ideas for such competitions. In this article we will be discussing about the various innovative ideas that the parents of the preschool boys can use to dress their children for fancy dress competitions. You can dress your child like his favourite character from any of the stories or poems that he has studied. They can dress up like the prince who saved snow-white or Humpty dumpty as it would be very innovative and comical as well. They can also play characters like Aladdin, Genie, Mickey Mouse, Tweety etc. They would look really cute playing these characters. Almost every boy dreamt to become a superman, Spiderman or ironman has at some point in his life. You can dress your child like any of these characters and let their dream come true of conquering the world for some time. 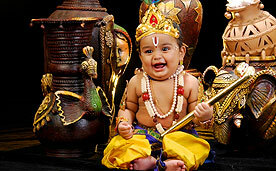 If your child has faith in God or you want your child to know more about mythology then nothing can be better than dressing him up like a mythological hero like Lord Ram, Lakshman, Lord Shiva, Shri Krishna, Hanuman etc. No one can play these roles better as with the help of their innocence small children can pull off these roles brilliantly. Your child can get inspired by the endangered animals and play their character. They can take up issues like tigers, lions, and deer etc which due to uncontrollable hunting have become endangered. Seeing children taking up such issues can provoke the adults too. Another innovative idea would be to dress your child like a tree. Let the tree speak and ask for help from everyone. Taking up environment concerning issues would make your child aware of such things and it would impress and inspire others too. These days the characters which are very popular amongst children is Dabbang, Munna bhai and Rajnikant. If your child is good at mimicry then let him play any of these characters and deliver powerful lines or do things which these characters commonly do. These characters will surely win everyone’s heart and everyone would love to see a mini Chulbul Pandey. For fancy dress competitions which are held near 15th august or 26th January, historical characters are very common. The new idea would be to go for a new and emerging face of politics than going for the conventional characters like Bal Gangadhar Tilak, Gandhiji, and Nehruji etc. 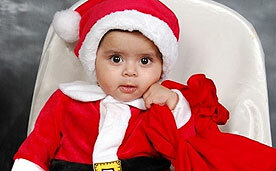 Dress your little one like Rahul Gandhi or Sachin Pilot which are the new faces of our Indian Politics. Fancy dress competitions are all about fun and dressing your child in a character of what he/she aspires to become or find amusing. There are many ideas as well to dress your little sylph like a character or entity she would love to imitate. Dressing your little girl in a vegetable or fruit attire is quite simple and quick way to dress your child. You can dress her up like a mushroom, potato, tomato etc. Much more than the child’s effort the mother needs to add a little of their own creative element in this. You can even attach a head stalk in a cap in case you dress her like a brinjal, chilli etc. it would add much more colour to the costume. Make her learn and short and simple rhyme. Well if you like your daughter to become like one of those famous ladies that people look up to then there is still time for her to actually be like one of them but you can still fulfil your desires by dressing her up that way. Like Sonia Gandhi, Indira Gandhi, Saina Nehwal, Kalpana Chawla, Kiran Bedi , Barkha Dutt etc. 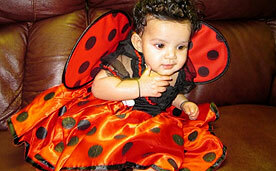 The main idea behind the concept of fancy dress is to let your child get into the shoes that depicts her personality. If your girl wants to be a doctor, news reporter, nurse, engineer, model, choreographer, air-hostess dress then dress her that way. Not only will she look joyful but will be able to carry that dress confidently. Women are women! How can we ever deprive her of some innate features like dressing up, being fashionable, wearing designer dresses and accessories? Well if your daughter possesses any of these characteristics, and then allow her to follow what she loves doing from her heart. You dress her up like an angel in which she finds herself beautiful. If at all she is crazy for dance, make her look like a “bharatnatyam dancer”. Environment degradation is a point of concern for both government and people. You can also give in a bit through your daughter. Make her look like a “leafless tree”, a “dustbin” with a caption of “use me”, a “crying earth” etc. You can even spread awareness with the help of a fun element in it. There’s no obligation to give your girl a typical feminine look. If she wants to dress up like one of those male characters then why not? You can improvise that male look and give a feminine touch in that like a lady superman or batman, or a lady cricketer etc. Thus by using any of the above stated ideas you can dress your child in such a way that make him stand different from others. We do not assure you a first prize on these characters but we definitely assure you that your child will win hearts and appreciation of everyone present in the event.